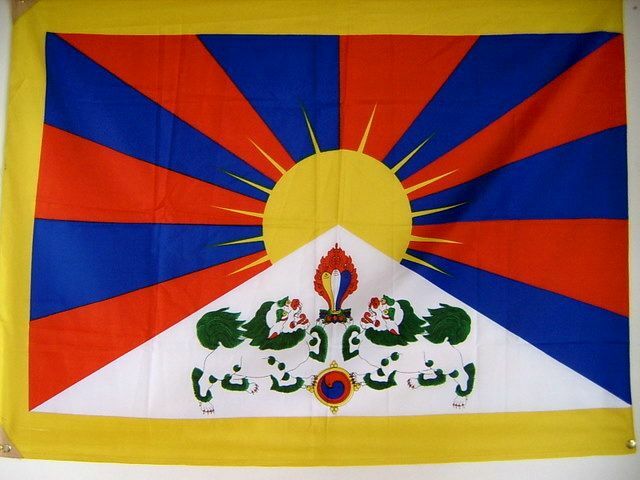 In ancient Tibet, the military of each region had their own flag. 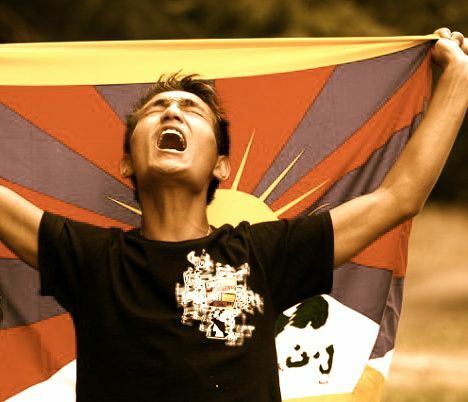 The thirteenth Dalai Lama designed the present modern Tibetan flag incorporating all of those unique symbols and colors. 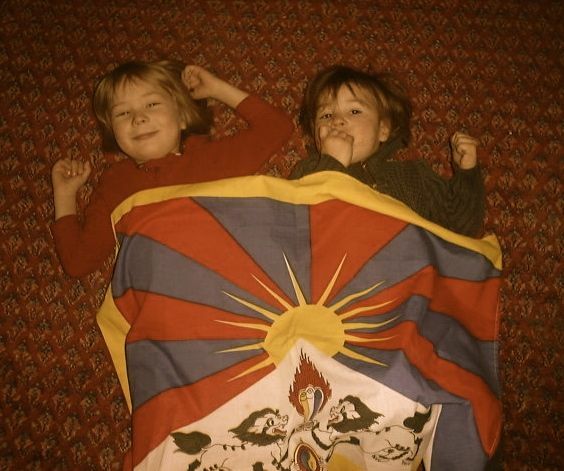 Here is a photo of the flag from our living room wall in Dharamsala. 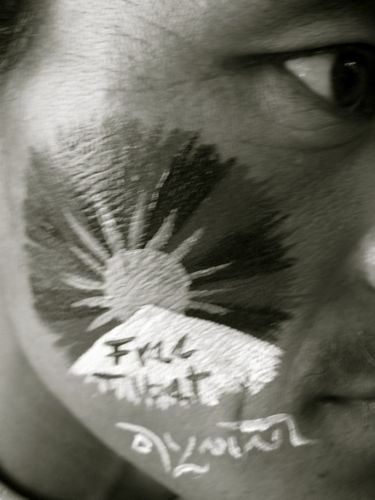 In the center stands a magnificent snow capped mountain, which represents the great nation of Tibet, widely known as the Land Surrounded by Snow Mountains. Spreading out along the dark blue sky six red rays represent the original ancestors of the Tibetan people: the six tribes called Se, Mu, Dong, Tong, Dru and Ra which in turn gave the [twelve] descendants. 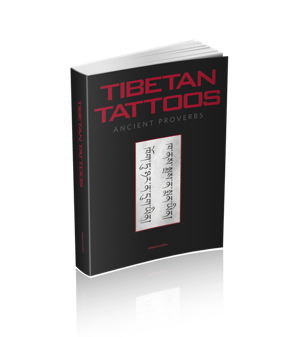 The six red rays and six blue rays together represent the protector deities of Tibet. At the top of the great snow mountain, the sun with its rays brilliantly shining in all directions represents the enjoyment of freedom, spiritual and material happiness and prosperity by all the citizens in the land of snow. It is now a crime to possess a national flag, sometimes bringing a long prison sentence of torture and abuse. It is also a crime to have a photo of the Dalai Lama! 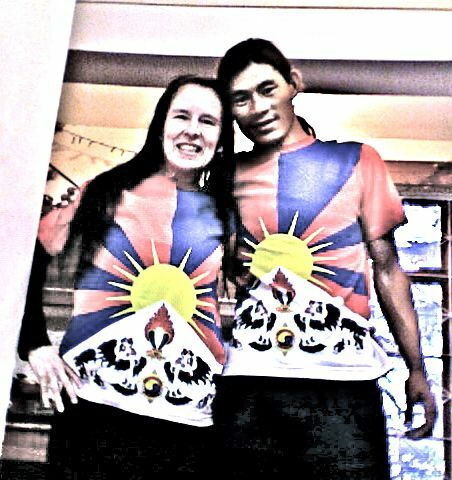 Husband and I wearing the national symbols for a freedom campaign. Aren't we cute! On the sides of the snowy mountain stand two beautiful and proud snow lions which represent the country's victorious accomplishment of a unified spiritual and secular life. The yellow border on three sides represent the flourishing of the Buddha's teachings. 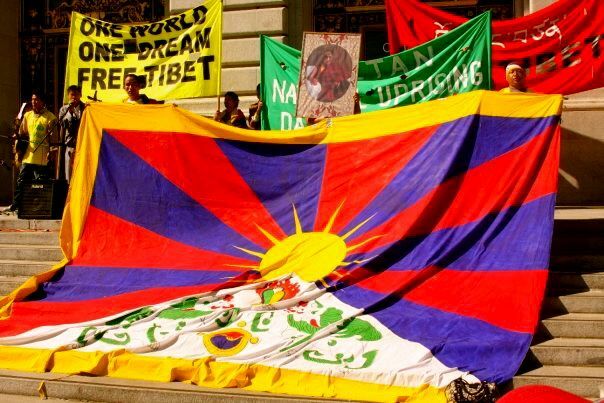 The side without a border represents Tibet's openness to non-Buddhist thought. The brilliant three colored jewel held up by the snow lions represents the respect and reverence of the Tibetan people towards the Three Supreme Jewels - The Buddha, Dharma and Sangha. 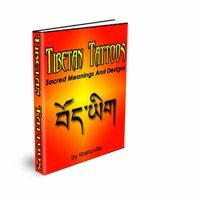 The two colored jewel held below represents the ethical behavior practiced and cherished by the Tibetan people.